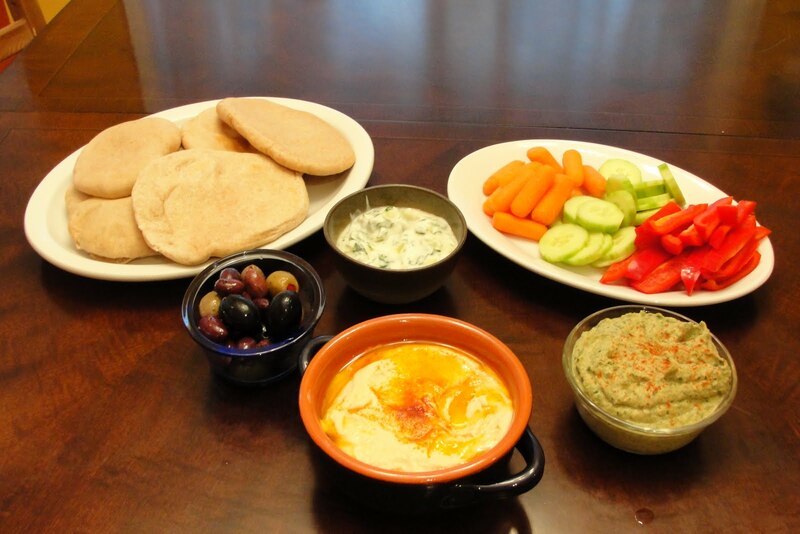 February Daring Cooks Challenge – Mezze | eat. play. sleep. I’m so excited – this is my first time completing a Daring Cooks Challenge and it was so much fun! The 2010 February challenge was hosted by Michele of Veggie Num Nums. Michele chose to challenge everyone to make mezze based on various recipes from Claudia Roden, Jeffrey Alford A mezze is a traditional spread of small Middle Eastern plates, a la Spanish tapas. Michele required everyone to at least make a traditional humus and pita bread, and left the rest up to our imaginations. You can check out the recipes we used on Michele’s blog. I had a great time doing this, especially since this is the type of food I great up eating. I rounded out the meal with baba ganoush, falafel, olives, veggies, and raita. I also made a jar of preserved lemons, which I plan on using throughout the year. 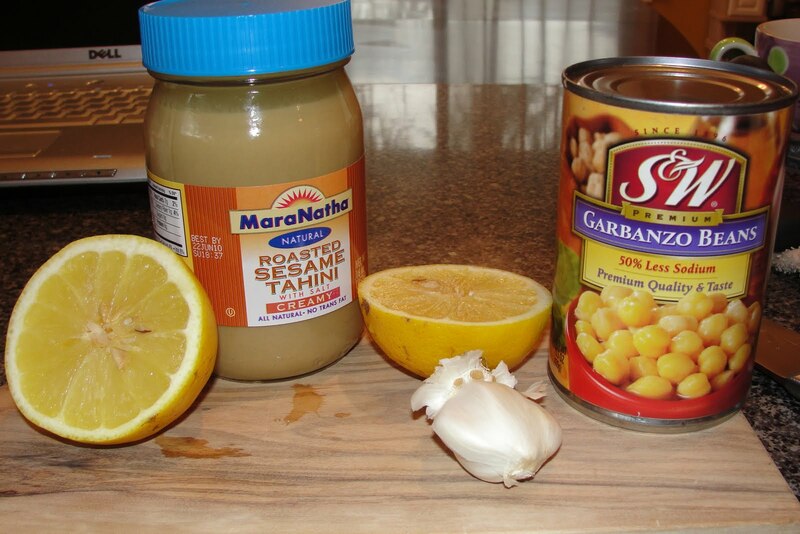 The first thing I did was to make the hummus – I used traditional tahini to flavor it, although it was hard for me to find peanut free tahini and I almost used sunflower seed butter. 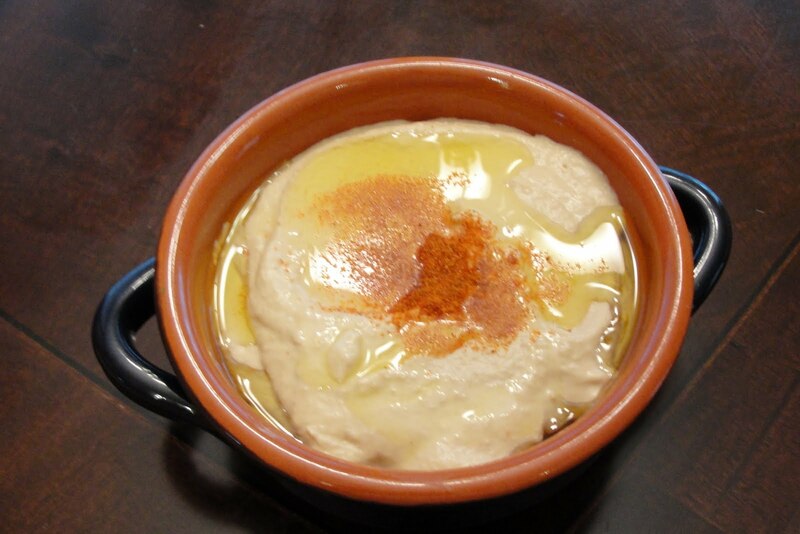 I finished the hummus with some good quality olive oil and a sprinkling of cayenne pepper…yum! 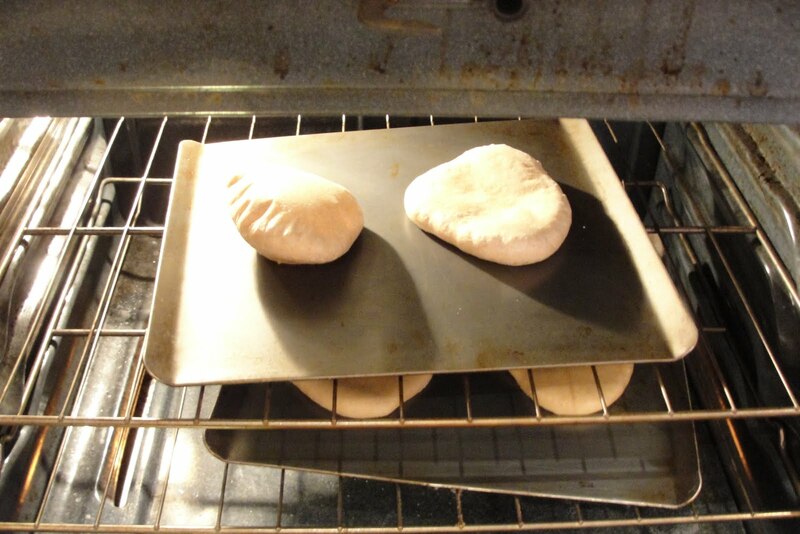 Making the pita bread was pretty easy – I used half whole wheat flour and half bread flour and the dough came out pretty well. I don’t think that I let it rest long enough after separating it into individual balls before rolling the pita out – my pitas shrunk up and were a bit thick. They did split beautifully though, and were perfect for stuffing with our falafel. The girls gobbled everything up – they’re pretty used to this type of food already, and of course, since hummus and baba ganoush are basically dips, they had a great time. Ava ended up making a Middle Eastern pizza that I wished I would have gotten a picture of – she topped a pita with hummus and made a happy face out of the veggies I put out. This was such a fun meal for our family! Thanks to Michele for such a great challenge! congratulations. great work on your first daring cooks challenge.I am jealous your pita looks stunning. Wow, I am amazed at how much your pitas puffed up! Well done! Congratulations on your first challenge. Everything looks really nice! Congratulations on a first challenge rocked! Your hummus and pita look incredible, as does everything else. Beautifully done all around! Thank you so much for cooking along with me this month. Your food looks just amazing! Your pitas tuned out perfectly. 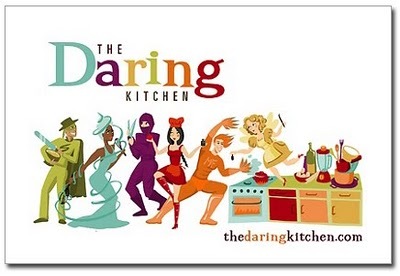 I hope you are having fun cooking with the Daring Cooks.